A hosted PBX solution like the one offered by AccessDirect has been a major boost for many companies who have adopted the system. Because it is housed by the provider, you don’t need to worry about hardware maintenance or upgrades, and you can instead focus energy on other critical tasks, according to Infonetics Research. A hosted solution allows businesses to save in overall operating costs and is both flexible and easy to manage. Solutions can be a unified system installed at multiple locations. This opens the potential for employees to work remotely, as well as provides the benefits of maintaining a single connection throughout the business. 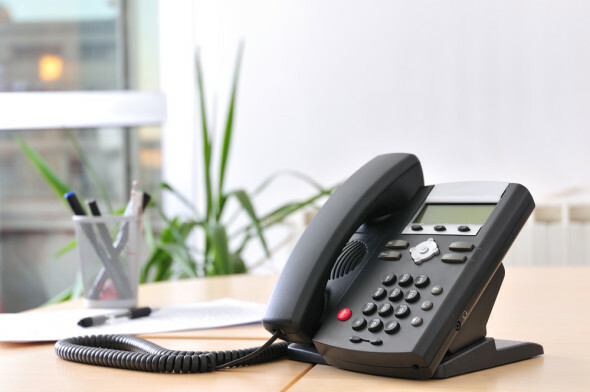 VoIP has become a popular choice for small businesses looking to compete with larger companies by projecting a professional, enterprise-level image. Benefits traditionally include cheaper calling rates, a variety of features, such as auto attendant and professional voicemail, and the opportunity for mobility, according to VoIPReview. Businesses using such a system have realized significant savings for making both local and international calls. VoIP can also be included in many business solutions like PBX to enhance their communications system. While switchboard operators were the ones to direct calls in the distant past, company agents took over call routing in recent years. Now, the auto attendant has become a prominent tool used at many organizations. A voice-enabled feature allows callers to self-serve, which can lift much of the burden off the shoulders of call center agents fielding many calls simultaneously, according to TMCnet. The auto attendant also gives a customized greeting and a menu of extension options so that callers are directed to the appropriate person and are more satisfied with the experience. Still relatively new, the BYOD trend has revolutionized the way in which employees complete their business processes over the phone. With PBX solutions, BYOD users are able to receive business calls on their personal cell phones at any location. Years ago, all employees would have to be at their office every day. However, now all they have to worry about is being available during the work day, no matter where they decide to spend it, according to ZDNet. The trend gives employees the flexibility to take care of personal situations while continuing to work productively. From the time that the first call was made, the telephone industry has changed in ways that were previously unimaginable. After all, who would have thought that we would all be walking around with cell phones in our pockets that would primarily serve as entertainment? As the number of mobile users continues to grow and the BYOD trend develops, businesses are urged to begin their planning for the future of their phone systems.